The Jacksonville Aviation Authority (JAA) strives to make it a priority to include small, minority and women owned businesses when seeking goods and services for its daily operation. Both Disadvantaged Business Enterprise (DBE) and Small Business Enterprise (SBE) programs have been implemented by JAA in support of this mission. JAA has established a Disadvantaged Business Enterprise (DBE) program in accordance with regulations of the U.S. Department of Transportation (USDOT) Title 49 Code of Federal Regulations Part 26. JAA receives federal financial assistance from the USDOT and as a condition of receiving this assistance, JAA has signed an assurance that it will comply with 49 CFR Part 26. JAA implements a DBE Construction Goal based upon the type and intensity of construction related projects established for the fiscal year(s) and public input. JAA, in accordance with 49 CFR Part 23, also provides a program for the participation of Airport Concession Disadvantaged Business Enterprises (ACDBE) in concession related contracting opportunities. Separate goals are established for car and non-car rental concessions. JAA’s Small Business Enterprise (SBE) program is a race and gender neutral program that encourages economic growth for local small businesses by providing opportunities to compete for all or portions of JAA contract awards. The SBE program endeavors to create greater access for SBEs to participate as primes as well as subcontractors on non-federally funded projects, contracts and purchases. 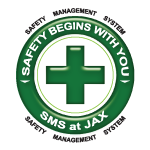 Under this program JAA will accept SBE certification from companies currently certified with the City of Jacksonville’s Small and Emerging Businesses (JSEB) program. Companies seeking certification will be referred to this agency. Companies currently certified as DBEs under the Florida Unified Certification Program (UCP) will automatically be considered certified and eligible to participate on JAA contracts and purchases as SBEs, as long as the DBE entity is located within the counties of Duval, St. Johns, Clay, Nassau and Baker. JAA has implemented a Local Preference Policy (LPP) initiative in order to assist with the growth and development of our local economy. Firms that qualify for this initiative will be given percentage discounts, points and tie-breaker preference in JAA’s Procurement Department’s solicitation efforts. In an effort to stimulate economic growth and development of local businesses and keep local resources in the community, JAA’s LPP initiative is established to encourage local businesses to participate in the competitive process for the provision of JAA’s goods and services. Please join us to obtain information on the procurement process of doing business with JAA and upcoming bid opportunities. These sessions also provide opportunities to meet and/or schedule meetings with specific buyers / JAA representatives and for interested firms to network with each other. JAA is in the process of establishing a Small Business Mentoring Initiative, the general purpose of which will be to solicit the guidance and participation of JAA’s top contract award recipients in its commitment to increase the business acumen, contracting opportunities and growth of interested small businesses through informal, “mutually beneficial” mentoring relationships that result in relationships of trust and confidence.